Tanzania and Malawi are embroiled in a boundary issue over Lake Nyasa as it is widely known in Tanzania or Lake Malawi as it is widely referred in Malawi. Many have called for an amicable settlement of this boundary issue so as to avoid a boundary conflict, an aspect that has caused devastating consequences in Africa. In the past five decades of Africa's independence, boundary problems and demarcation-related issues in Africa have caused major wars. As one scholar puts it, borders are imagined lines that are rarely demarcated on the ground, demonstrating their nature as artificial, historical construction and/or a political invention. There have been many controversies and arguments concerning the arbitrary nature of African boundaries. 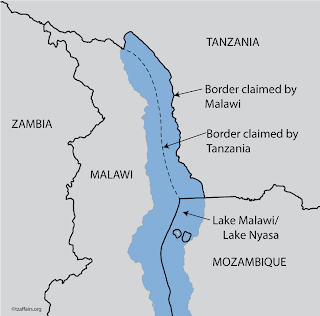 The Malawi-Tanzania border conflict with the lake at the focus is not a recent dispute as many might think. Since Malawi became independent in 1964, her diplomatic relations with Tanzania have been almost permanently strained. The causes of this has been summed up into three factors. One is the contrasting attitudes and policies towards the white minority regime of South Africa (Apartheid South Africa). Secondly is Malawi's first President Banda's suspicion that Tanzania was aiding and abetting the attempts by certain Malawi exiles to subvert his regime and lastly is on the question of Lake Nyasa (Malawi). The other is on the irridentism claims by Banda. The dispute over the Lake is largely due to two major factors. One is on the colonial heritage largesse. The second is Malawi's constant irridentism agenda by President Kamuzu Banda. Irridentism is any position that advocates for an annexation of a territory administered by a another state on grounds of shared historical ties, ethnicity ties, either through factual or alleged claims. From the onset, Tanzania agreed that the Lake's boundaries belonged exclusively to Malawi as per the Anglo-German Treaty of Peace Agreement after the First World War. But a reexamination of the various treaties, the boundary location was in fact uncertain. This is well captured in the earlier explanation that boundaries are indeed imagined. Various documents point to the fact that at one point the middle point of the lake was placed as the demarcation area. Whereas others point that the whole of the lake belonged to Malawi. This uncertainty cannot be ruled out given the manner in which colonial settlements were reached between the European powers in Africa and particularly Britain's administration of the two territories concerned. This is largely due to the inheritance of Tanganyika by Britain after the defeat of Germany in the First World War. Tanganyika became a British protectorate until it gained independence in 1961. Tanganyika under Nyerere took up the doctrine of uti possidetis meaning that a territory and other property remains with its possessor at the end of a conflict, unless otherwise provided for by a treaty. Tanzania made this proposal to the Organization of African Unity in Cairo in 1964. 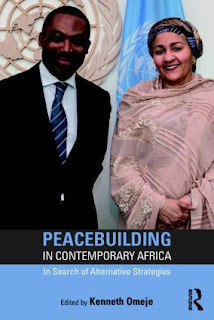 This led to the foundation of most African states foreign policy of respect for sovereignty and territorial integrity and respect for national independence. The irredentism claims by Banda were atrocious and highly provocative. It went to the extent of him pointing towards Tanzania in one of Malawi Congress Party rally saying 'that is my land over there, Tukya (Tukuyu), Njombe, and Songea, all of them must be given back.' Nyerere went on and labeled the man as 'insane'. On hearing this Banda reacted angrily by saying that 'everyone knew Nyerere as a coward and a communist inspired jellyfish'. The reaction was highly uncalled for especially for a man who had little democratic ideals, and an outright symphasizer of Apartheid South Africa. This further inflamed the outstanding and unresolved boundary issue. 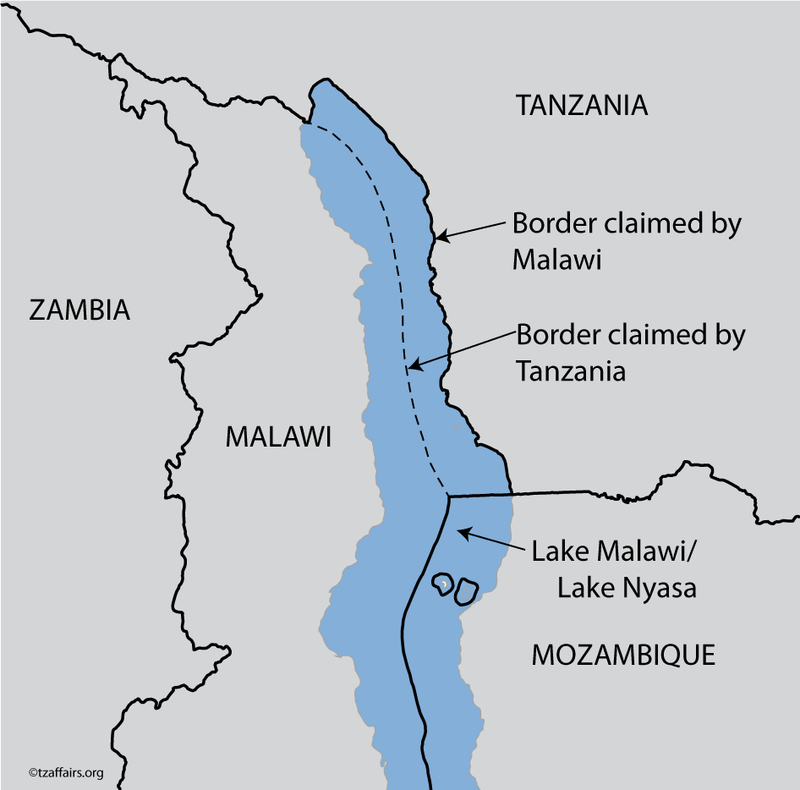 The recent oil exploration attempts by Malawi on the lake have rekindled the boundary debate. It comes at a time when Joyce Banda replaced the late wa Mutharika as the head of state of Malawi. Joyce Banda just like Kamuzu Banda (coincidentally they share names), has shown little leadership in the matter. Madam Banda from her few days in office is seen as a Western protege who works to please the Western donors unlike her predecessor who worked hard to make Malawi an independent and self reliant state in terms of food security. The oil explorations have brought back the boundary question. Tanzanian fishermen and local communities in south-west Tanzania dependent on this lake. Their livelihoods are placed on the lake. Tanzania's position is to protect her people at all times. The government led by the foreign minister Bernard Membe have categorically said that Tanzania has a claim to the lake. Malawi should understand the historical complexities of colonial legacy and examine the aspect the boundary cordially. Tanzania should as well approach it in the same membrane. A deeper examination of the historicity of the dispute should be given emphasis and amicable resolution should be considered. Welcome to Siasa Yangu blog. The postings are a personal reflection on local and international political, economic and social events. My personal credo is based on my belief in God, respect for human rights, equality and freedom for all. I love my country Tanzania and am a citizen of the world. My objective is to serve society by impacting knowledge through service and leadership. Nico Minde (decolanga). Simple theme. Powered by Blogger.